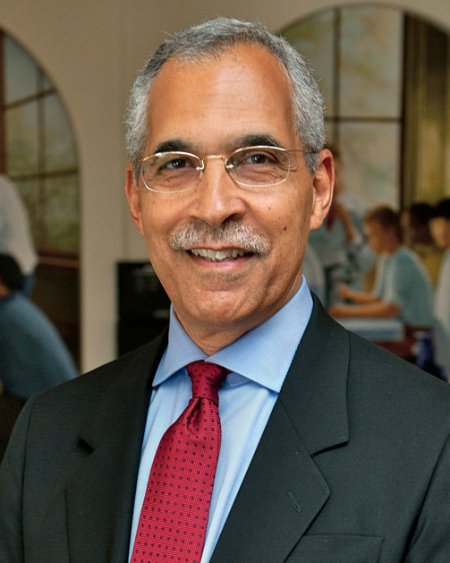 Claude Steele, the executive vice chancellor and campus provost at UC Berkeley, is a social psychologist whose research looks at the social impacts of stereotype identities. Steele's 2010 book sheds new light on American social phenomena from racial and gender gaps in test scores to the belief in the superior athletic prowess of black men. Claude M. Steele, a renowned social psychologist and UC Berkeley’s executive vice chancellor and campus provost, will speak on his research on stereotypes and identity, Thursday, March 10, 2016 at 4 p.m. at the College Nine/Ten Multi-Purpose Room, UC Santa Cruz. Steele’s visit is the result of a recommendation in the 2015 final report of the UC Santa Cruz Black Experience Team that specifically highlighted his research on how stereotype threat can negatively impact historically marginalized communities in academic performance and social experiences. The event is free and open to the public with pre-registration requested, as seating is limited. Light refreshments will precede the lecture. In his talk, “Stereotype threat: How it affects us and what we can do about it,” Steele will offer his first-person account of research that examines how racial and gender stereotypes can affect grades, test scores, and academic identity in ways that can perpetuate stereotype threats. “Research has shown that microaggressions–brief everyday exchanges that communicate denigrating, hostile, derogatory, or negative messages toward members of marginalized communities–can perpetuate stereotype threats,” said Sheree Marlowe, campus diversity officer for staff and students and a founding co-chair of the campus Black Experience Team. The special working team was appointed by the chancellor’s Diversity Advisory Council and consists of 17 students, staff and faculty. It formed in late 2014 to understand the challenges of African American, black, and Caribbean students and identify key strategies to enhance the campus climate and success for those students. Steele’s research helps inform those strategies. It focuses on the psychological experience of the individual, particularly on the experience of threats to the self and the consequences of those threats. His early work considered the self-image threat, self-affirmation and its role in self-regulation, the academic under-achievement of minority students, and the role of alcohol and drug use in self-regulation processes and social behavior. 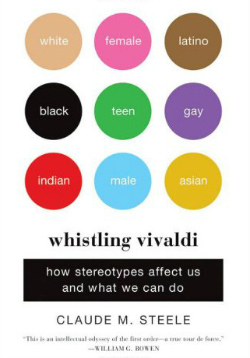 Steele’s most recent book is Whistling Vivaldi: How Stereotypes Affect Us and What We Can Do (W.W. Norton & Co., 2010). Steele taught at Stanford University from 1991-2009 where he further developed the theory of stereotype threat. He served as provost of Columbia University from 2009-2011 until he returned to Stanford as the I. James Quillen Dean for the School of Education at from 2011–2014. In 2014, he was named executive vice chancellor and provost, the chief academic officer on the UC Berkeley campus, where he has leadership responsibility for the planning, development, implementation, assessment and improvement of all academic programs, policies and supporting infrastructure. He also holds an appointment as professor in the Department of Psychology and the Graduate School of Education. Sponsoring Steele’s visit are the UC Santa Cruz Division of Social Sciences, Office for Diversity, Equity, and Inclusion, and Department of Psychology.